Scottsdale's #1 Rated Independent European Auto Repair Center Since 2003! Tech Plus Automotive is rated 4.7 out of 5 based on 89 reviews from around the Web. If you want great quality service with confidence, you won't gowrong with Tech plus. Great customer service and repair work. Gary, and his team are true professionals—trustworthy, reliable, knowledgeable and accommodating! Very knowledgeable, good diagnostics and pleasant staff. Great place to bring a volvo due to the fact that one of their stellar mechanics has 15 years experience with volvo! highly recomended!!! Really easy to work with. Good work, great price. Nothing else to say. I was very pleased with the work and knowledge of my Infiniti. They provided solid technical expertise on Infiniti. 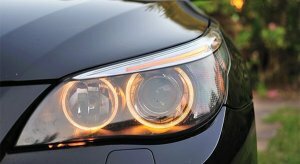 Tech Plus has provided excellent updating and routine maintenance which will enable us to feel more confident with the car in a major metropolitan area. My vehicle was in and out, and Gary provided amazing customer service. Definitely will be coming back! I had a great experience here. Work was quality, I was kept informed, work done on time, and owner was very good to work with. I’ll go back. Tech+Auto's expertise and service are top quality and I highly recommend them to all Jaguar owners. I do not do social media of any kind and I always regard on line reviews as being suspect, My confidence in Gary and his staff is such that I have no problem if he gave out my phone number to any prospective client for a one on one honest review regarding the quality of his service. Gary and his skilled mechanics are fair, thorough, honest, and very capable. This is the place to go, especially if you love your car. Very good service. Good communication. Timely repairs. Great alternative to the dealership. Tech Plus Automotive is a 5 Star business and have provided us with excellent automotive and customer service for several years. Very fair and really appreciated the quick turnaround. Great service -- every time! Very pleasant staff and good prices for high end automobile maintenance. I would highly recommend this service shop as they did a great job and identified issues failed to be diagnosed by the Kansas City Mercedes Dealership. Always great service and very fair pricing. Communication has always been great! Work was done on time and for the price promised , no surprises. Best of all it was done for a lot less that the Scottsdale dealership. Gary and the team at Tech Plus are absolute professionals. They are completely priced and always on time. Handled the repair with my specific requirements perfectly for reasonable price . A+ Service, pricing and professional staff! Always a pleasure working with Gary. Theses guys are awesome, the really are personable and i really appreciate that. If your looking for affordable auto repair than come on down or give them a call!!! Tech + Auto is as good as it gets with smarts, experience, skill and shop cleanliness. And Gary and the guys are respectful and friendly. Wonderful place. Dealt with Gary. Great guy. Fitted me in for an oil change before my departure back to Oklahoma today. Tech Plus has provided efficient exceptional service for my Volvo XC70. My husband and I are very happy we have found Tech Plus Automotive to keep our cars in good working order. Our vehicles are in great hands. Moral of the story, Gary's tech found out they didn't reset my computer codes right and was more honest, experienced, and had the right tools. 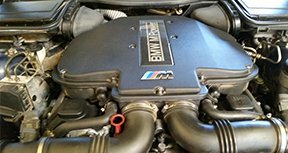 Tech Plus has been servicing my BMW for about a year now, and I’ve been very satisfied with their work and their overall approach to their business. TECH PLUS AUTOMOTIVE is your complete BMW, Jaguar, Land Rover, Mercedes Benz, Porsche, and High-End Euro and Japanese Dealer alternative service and repair option in Scottsdale. From the most basic service to ultra sophisticated diagnostics and performance suspension setup and ride diagnostics. 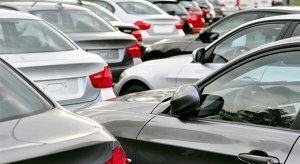 We have been The #1 Luxury Import Vehicle Specialist in the Scottsdale/Phoenix area since 2003 and we are now SERVICING ALL DOMESTIC VEHICLES AS WELL! We are Land Rover, Range Rover, Mercedes Benz, BMW, Porsche, Jaguar, Saab, Volvo, VW, Lexus and other high end and high performance repair in North Scottsdale. You now have a real choice on where you decide to service your prime investment. Tech Plus Automotive allows you, the consumer, the option of no longer having to sacrifice quality for value. We are as equipped, and as trained (if not more so), than any dealer and offer the value and personal service of an independent. You’re the customer and now you decide! For drivers throughout the Scottsdale, AZ area however, the expert technicians at Tech Plus Automotive are here to offer you a more affordable alternative for vehicle maintenance. 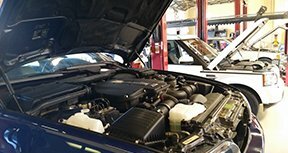 Our state of the art facility features all of the latest diagnostic tools and equipment needed to ensure a quality visit for your car no matter how big or small the service your car needs is. 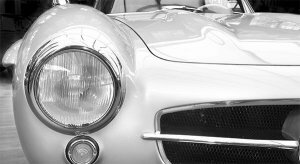 Since 2003 we’ve been Scottsdale’s number one alternative to the dealerships for European drivers and we pride ourselves on becoming your go-to service center. If you’re in the Scottsdale area and want to make sure your car gets the high level of service it deserves then call Tech Plus Automotive today. We’ll help you answer any and every question you have and make sure that your car maintains the high levels of performance and comfort you expect. Tech Plus Automotive is your complete BMW repair and service dealer alternative option in Scottsdale. 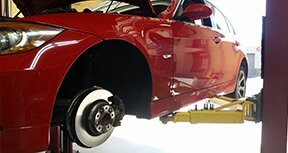 We can handle anything from the most basic service to sophisticated diagnostics and performance suspension setup. We have been the #1 luxury import vehicle specialist in the Scottsdale/Phoenix area since 2003. We know the ins and outs of Mercedes-Benz vehicles and have seen the typical problems associated with these fine cars many times, which means we can get to the heart of the problem quickly and get you on your way! These are special cars and it takes a certain touch to give them and their owners the attention they deserve. Our dedicated service team will take care of your needs with a level of professionalism seldom found in the auto repair industry! Performance tuning, minor or major repairs, and routine maintenance are only a few of the auto repair services we offer.